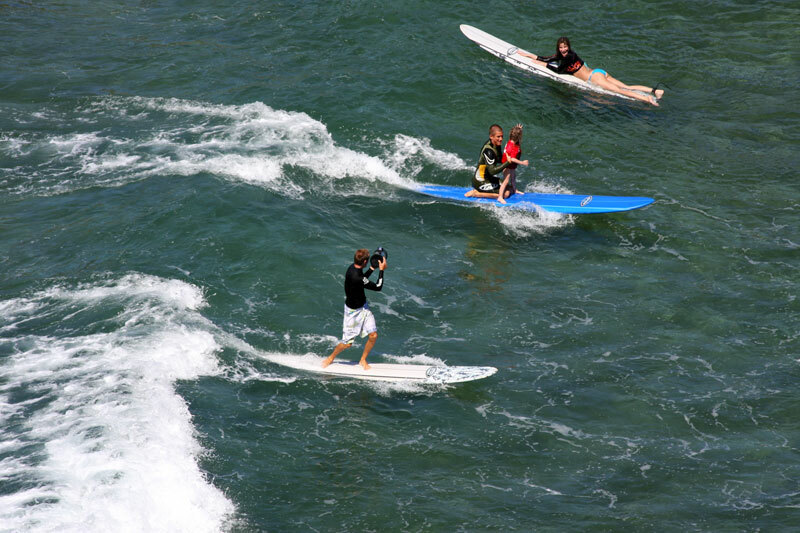 We teach longboard, short board and stand-up paddle surfing. 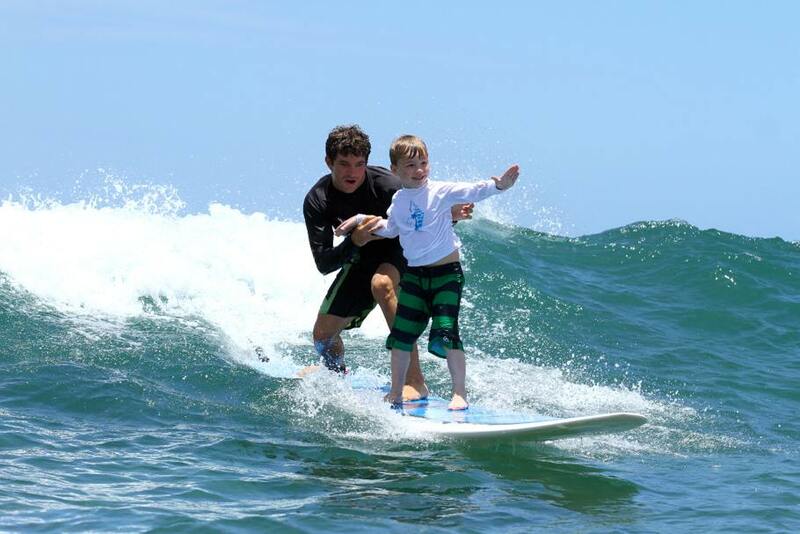 Our surf lessons are for all ages and all levels. We have taken 6-month-old babies and adults in their 70s out for their very first time! Check below for more info on what we offer! 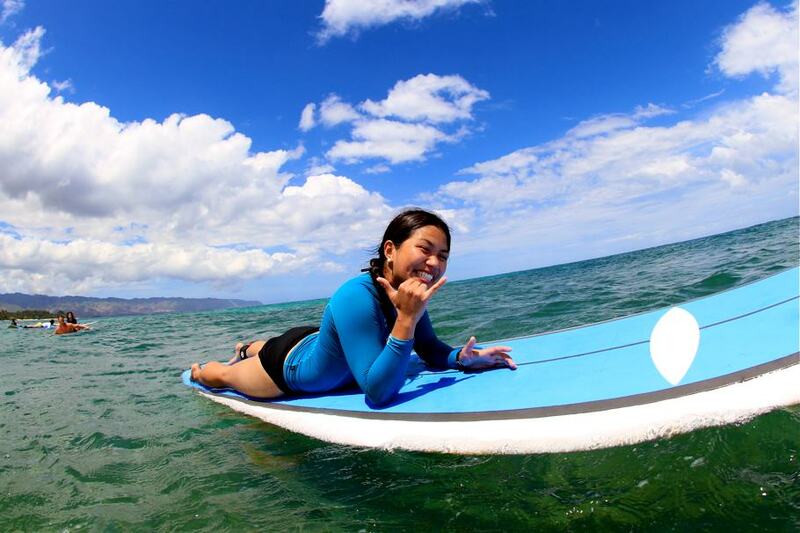 Learn to surf in the warm, easy waters of Oahu’s “country” side. 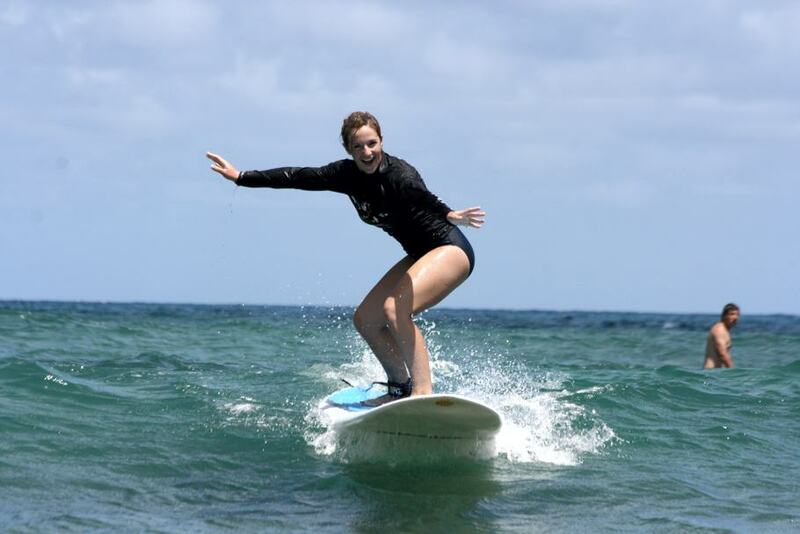 We’ve been teaching surf lessons for decades and there is no other surf school on the North Shore that will deliver the quality of instruction, knowledge of the ocean or local flavor as Sunset Suratt Surf Academy. We know the water better than anybody, love teaching surf lessons and do it all to see you experience the thrill and pure joy of riding your first waves. All of these beginner lessons are perfect if this will be your first time surfing or are learning to catch waves on your own. Check below to see what we offer! Perfect for families with kids, friends, small company groups, etc. Ready to rip on world class waves? Use the button below to book online and get started! Get photos to share with your friends and remember your experience for years to come. Our professional photographer will join you in the water and get great shots of you having an amazing time. To schedule photographs with your lesson, simply contact us at sunsetsuratt@gmail.com and we’ll get everything lined up for you. More often than not, we have some friendly faces in our lineup. 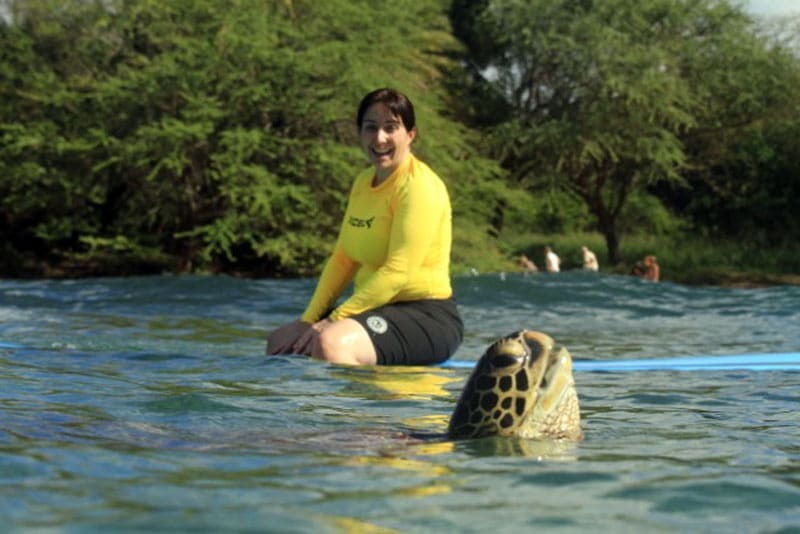 If so, there’s a good chance you’ll get a visit from a sea turtle during your lesson! We guarantee your lessons. 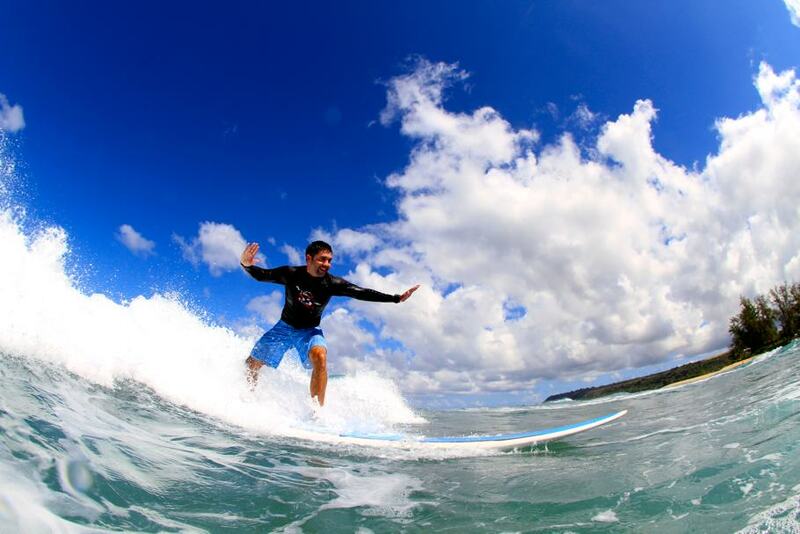 Sunset Suratt Surf School firmly believes in offering an unforgettable surfing experience. If anyone is uncomfortable or unhappy for any reason, their instructor will bring them in and they are not obligated to pay. You can sign up for your surf lessons on our site up to 24-hours in advance and pay with PayPal or major credit card at checkout. 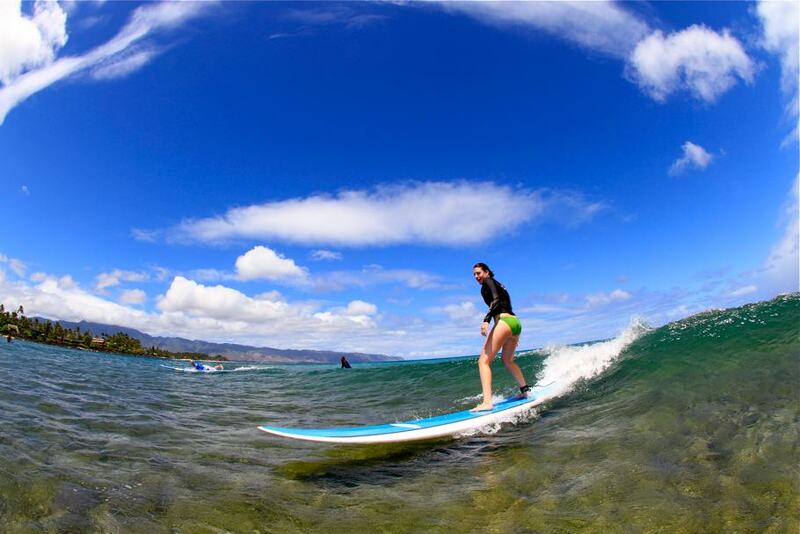 You can also call us at (808) 783-8657 or line up a lesson by email to sunsetsuratt@gmail.com. We’ll be happy to help and look forward to being in touch with you! Have an extra large group or need special accommodations for your lesson? 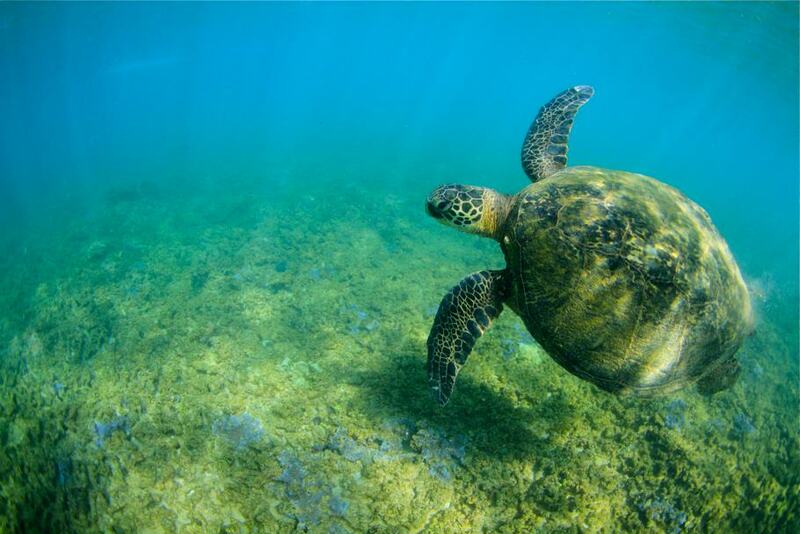 Call us at (808) 783-8657 or email us at sunsetsuratt@gmail.com before booking and we’ll take care of you! 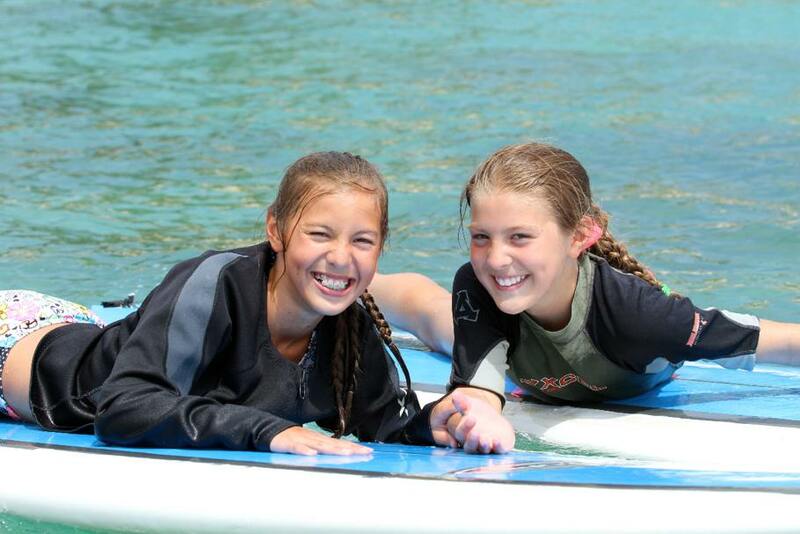 Surf lessons with Sunset Suratt Surf Academy are a great gift. Purchase a gift certificate online and give the perfect surprise to that special person planning a vacation to Oahu! Ready to have an awesome surf lesson? Book conveniently and securely right here through our website. It’s fast, easy, secure and you’ll be all ready to go when you arrive! I wanted to introduce my 13-year-old son to the sport of surfing during our Hawaii vacation. I spoke with several surf schools all across the island and after meeting with Bryan, I quickly realized he’d developed the perfect program for beginners. After a few minutes of beach-side instructions, Alex paddled out and caught his first wave in 5 minutes and caught several more nice waves on the first lesson! Alex had so much fun, we booked three more lessons with Uncle Bryan! We’re returning again this winter and Alex wants to spend every day catching waves with Uncle Bryan and his crew! If you or your kids want to learn how to surf and have fun doing it, then pass on the other schools and book your lesson with Uncle Bryan! Thank you for sharing your spirit of aloha with us and for teaching my two boys, Jake (age 10) and Taylor (age 7), to surf better and have loads of fun doing it. You guys are so far apart from the rest since you all have such great teaching methods and you are all world class rippers yourselves. We felt like you took us under your wing and really cared for us. You encouraged the boys so much that they are ‘frothing’ to get home and surf regularly. You shared a bit of your lives with us and left us really feeling the true sense of aloha. Our family wishes you all the best and we want to return regularly. Please don’t hesitate to call us if you are in San Diego. 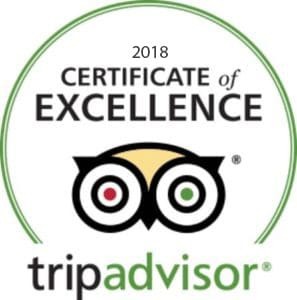 We’d love to return the hospitality you’ve shown us! If you are thinking about a trip to the North Shore this winter and would like to polish up your technique or talents, you may want to visit the Sunset Suratt Surf School. 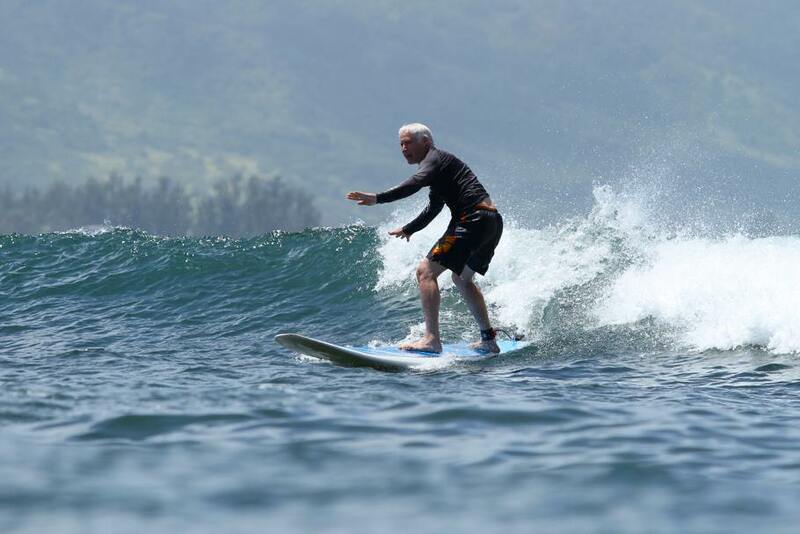 Uncle Bryan Suratt has been teaching and coaching for over 40 years and has helped hundreds of wave riders take their surfing to the next level.